Where did all the TV horror movies go? In the seventies there was a rash of made-for-TV movies that tried their best to scare audiences. Now they’re fondly remembered programmes that used to scare teenagers despite their (just) acceptable-for-TV limitations. The same year as he made Halloween, John Carpenter directed a high-rise twist on Rear Window, called Someone’s Watching Me (1978), recently released on DVD. 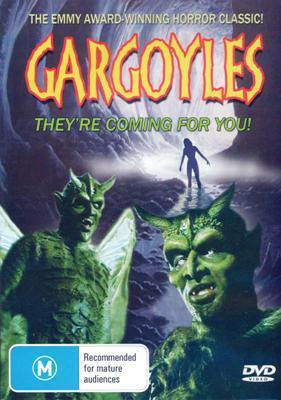 Gargoyles (1972) is a really bizarre tale of winged beasts in the desert, with monster make-ups by Tom Burman and an early gig for the late Stan Winston. This is currently available on DVD in Australia but is out of print in the US. Killdozer (1974) - perhaps inspired by the success of Duel, this was an adaption of Theodore Sturgeon's story - a rock from outer space infects a huge bulldozer with a killer intelligence! Clint Walker (The Dirty Dozen) is the stolid construction manager trapped with his crew on an island with killer machinery. Robert Urich (Vegas, 1978) and Neville Brand (Eaten Alive, The Ninth Configuration) co-star. It's a short jump from this plot to Stephen King's poorer Maximum Overdrive. Killdozer is on DVD in the Universal Vault Series, and here's the comic adaption! Don’t Be Afraid of the Dark (1973) - a bizarre and creepy ‘old house with a secret’ starring Kim Darby. Like Gargoyles, the plot is far out enough to have freaked out a generation. This was available on VHS a long time ago. The only film remotely like it, I guess, is The Gate (1987), that starred a very young Stephen Dorff. 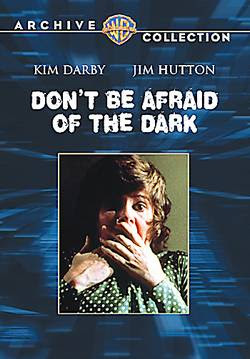 Update November 2009 - Don’t Be Afraid of the Dark is now available on DVD as part of the Warner Archives Collection. 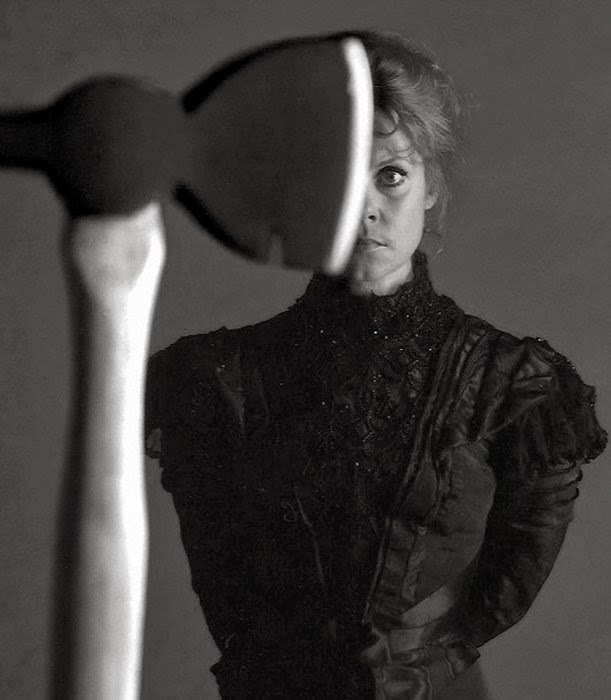 The Legend of Lizzie Borden (1975) stars Elizabeth Montgomery as the infamous daughter accused of axing her family to death. This account of the real life 1893 court case is ingeniously constructed, even if you think you know what happened. Ed Flanders (Exorcist III, St Elsewhere), Fritz Weaver (Creepshow) and Katherine Helmond (Time Bandits, Brazil, Soap) all add considerable support to Montgomery's exceptional performance. It's interesting to see how far the actress was willing to go to distance herself from her lovable witch character, Samantha, from the enduring Bewitched TV series. 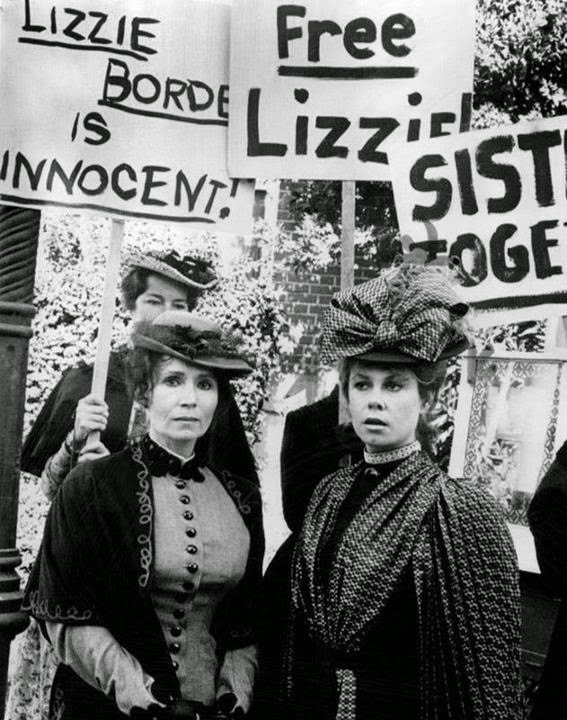 Lizzie Borden isn't on DVD. The Possessed (1977) was the TV movie answer to The Exorcist (which they certainly couldn't show on TV for years to come) - it features a hot pre-Star Wars Harrison Ford. James Farentino and Joan Hackett starred. 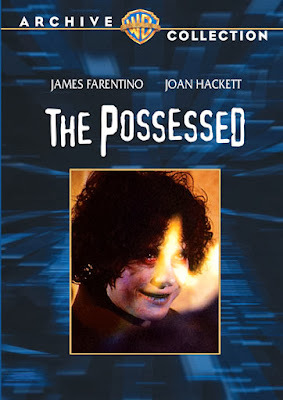 On DVD from Warner Archive - full review here. 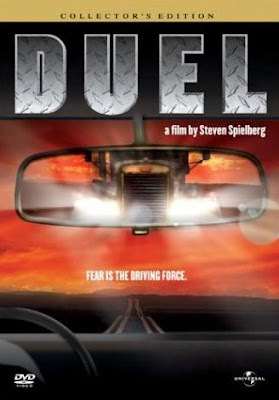 Most famously, Steven Spielberg’s first features were made for TV – notably Duel (1971), with its tail-gating trucker from hell so effective that it was released around the rest of the world into cinemas. My other favourite TV movies were from writer/producer/director Dan Curtis. He proved that, with a budget, he could deliver the goods. Without a budget he made the infamously cheap daytime soap opera Dark Shadows, its ratings saved by the introduction of a vampire into the gothic romance. The success of the show even spawned two feature films, both of which are better representations of what Curtis was capable of. I wish he’d made more movies for the cinema - Burnt Offerings (1976) was scary in the way Japanese horror is today - as creepy as it was bloody. But mostly he made TV movies, adapting classic horror stories like Dracula, Frankenstein and Dr Jekyll and Mr Hyde. More successfully, he worked with writer Richard Matheson with the intention to scare. His infamous Trilogy of Terror starred Karen Black in three tales, one of which infiltrated the nightmares of a generation – a puppet-sized wooden idol, the Zuni doll, brandishing a kitchen knife and scuttling around a darkened apartment. 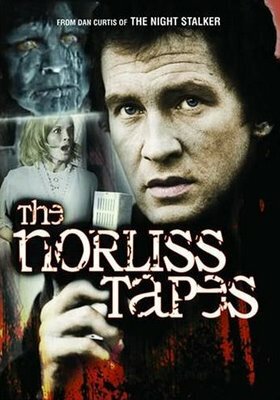 The Norliss Tapes, just released on DVD (by Anchor Bay in the US), doles out the undead, vampirism and satanism all in one action-packed 72 minutes. Shot almost completely on location in San Francisco and around Carmel, this was more fun than many movie movies at the time. The same mix of police investigation, horror and stunt work that made The Night Stalker work so well. Like his two Dark Shadows feature films, Curtis successfully transplanted gothic horror into modern day settings, combining Van Helsing monster-hunting with present-day detective work. The Night Stalker and The Norliss Tapes are the seventies equivalent to The X-Files. 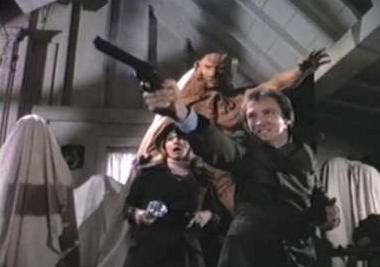 Series creator Chris Carter even featured actors Darren McGavin (Kolchak) and Roy Thinnes (Norliss) in important episodes. Of course, Thinnes had also starred as paranoid UFO hunter David Vincent in The Invaders TV series. Because it’s for TV, the film has to get you interested quickly, and keep you hooked before each ad break. Curtis, also directing here, ensures there’s action or scares at regular intervals – the non-stop highlights that play under the end credits would make a great trailer. The atmosphere is thickened by Robert Cobert's eerie soundtrack, making great use of sawing strings. Glamorous Angie Dickinson is reduced to the role of damsel in distress, screaming her head off. She had a stronger role in Brian De Palma's Dressed to Kill (1980) which is saying something. Smaller parts go to an ageing Hurd Hatfield (thirty years after he starred in The Picture of Dorian Gray), and the lovely Vonetta McGee from Blacula. 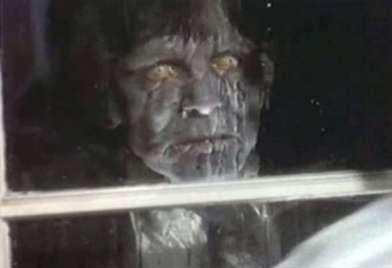 If you wished there were more Night Stalker episodes, or if you’re into seventies horror, this is for you. So, I guess now it’s more lucrative to make a scary TV series like Buffy, than just a stand-alone story. New TV movies now have to fill out family-friendly daytime schedules, and are less likely to even be fictional, mostly being “based on a true story”. Wow!!! The movies sure brought up good memories from my childhood,seems tv doesnt make horror movies anymore or if they do they get lost in my 80 something channels. Remember that Barbara Eden movie where she gets impregnated by aliens? That was fun....maybe slow paced compared to movies today. What was that Barbara Eden one called? - sounds interesting, and ahead of the pack. 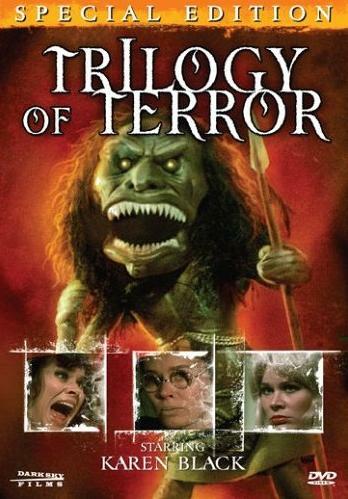 Trilogy of Terror is still talked about at my family gatherings. My Aunt, who just turned 70, still talks about it being the "scariest thing she has ever seen". Have you seen Trilogy of Terror 2? Thanks for the info on this movie! One of my all-time favorites! Lizzie Borden is now on DVD.